One-of-a-Kind Furniture? It’s Our Custom! Our craftsmen built these bookshelves and cabinets to our specifications. Have you ever seen a piece of furniture — perhaps in a magazine or a model home — that you absolutely loved…until you read the price tag? Us too! As designers, we are always coming across beautiful items we want to use in our clients’ décor but they don’t work with the budget. Or even when the price is right, perhaps the piece doesn’t fit the space for some reason. We’ve developed trusted relationships with local woodworkers and craftsmen. These guys are truly amazing — we hand them a picture along with our specifications, and they turn out gorgeous custom furniture for us, often at a fraction of those designer prices. For example, a client loved a vanity at a home furnishings store but the size was all wrong for her bathroom. Plus she wanted deeper shelves. So we designed it, handed it off to our custom woodworker, and presto! our client had exactly what she needed in the functionality that worked best for her and made from a more durable wood species. 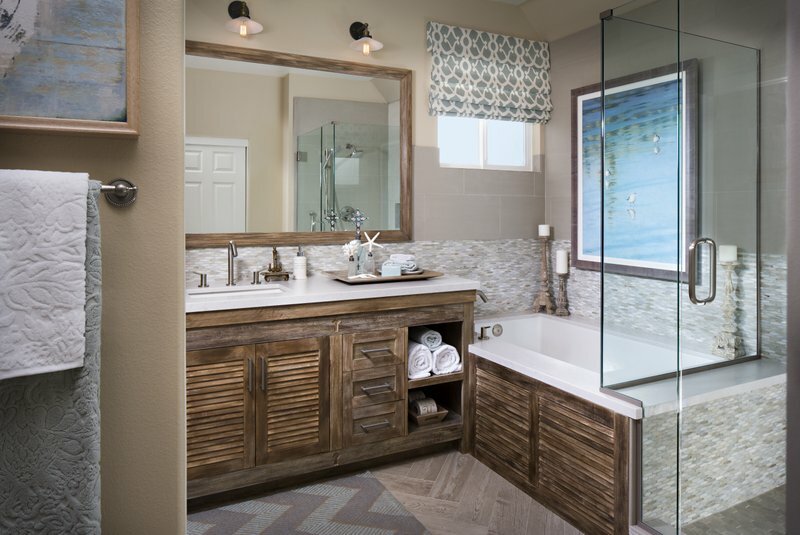 Distressed wood was the medium for our custom-designed bath vanity and tub surround. We’ve done this with console tables, end tables and coffee tables that perhaps had size or finish issues that we were able to correct through custom design. Entertainment centers to fit niches are a terrific candidate for custom, as is bedroom furniture. An iron bench with a leather seat was going for $3000+ where we saw it pictured — but our version was half that price! 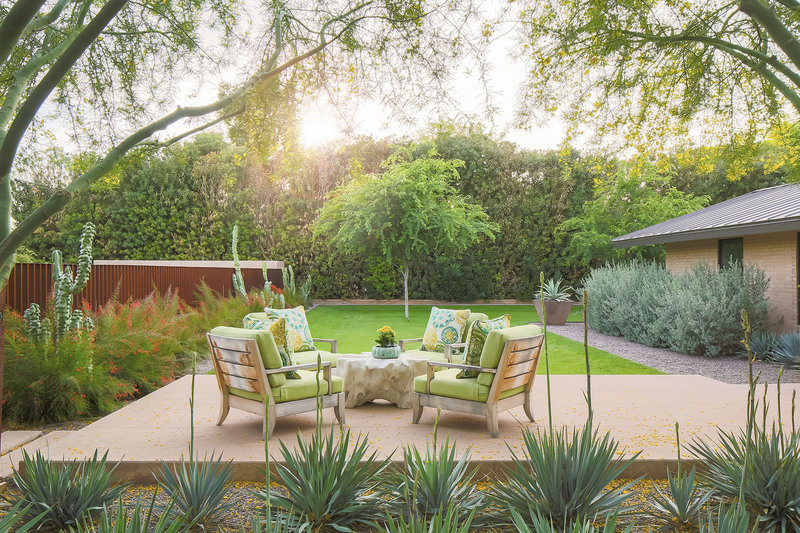 In addition to design flexibility and cost savings, our clients enjoy the uniqueness this custom method brings to their home. There’s something about having an item made solely for you that makes it even more special. And who doesn’t want their home to feel special? If we can assist you with custom furniture or any of your design or remodel needs, please contact us for a complimentary consultation.